Venezuela's Chávez Will Require Surgery For New Lesion : The Two-Way The announcement throws uncertainty over the country's upcoming elections. President Hugo Chavez waves during a military parade in Caracas, Venezuela, to commemorate the 20th anniversary of a failed coup attempt he led. After battling cancer last year, Chavez has returned to his high-profile, fiery ways. With elections just months away, Venezuelan President Hugo Chávez said he will require surgery for a new lesion doctors found in the area where he had cancer surgery last year. "It is a small lesion of about 2 centimeters [less than 1 inch] in diameter, very clearly visible," Chávez said on state TV, according to the AP. "The announcement throws new uncertainty over the country's politics because the socialist leader is seeking re-election this year, hoping to extend his more than 13 years in power. "Chavez, 57, said the new surgery should be less complicated than what he underwent in Cuba in June, when doctors removed cancerous tumor from his pelvic region. From July to September, he received four rounds of chemotherapy, both in Cuba and in Venezuela, and he has since said that tests show he is cancer-free." The news also comes just as Chávez appeared to have made a full comeback. NPR's Juan Forero reported earlier this month that Chávez had returned to his normal self making constant appearances. Juan reported that during a military parade, Chávez looked "robust once more, his black hair back to normal from the chemotherapy." From Chávez's statement, it's unclear what the surgery will mean for his October reelection campaign. 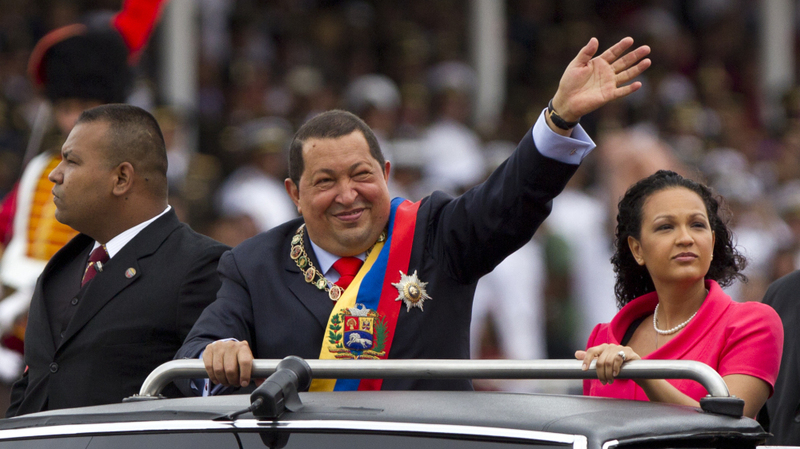 The last time Chávez was treated, he ceded some powers to his vice president.